I'll offer the same disclaimer from our previous post: "Our goal here was to select wine choices that were both interesting and delicious, novel yet also representative of wines one might be able to find elsewhere. For example, if our choice of bubbles excites you, but you can't find this specific Austrian sparkler at your local wine shop, try looking for something similar to get the job done." Paired with the salad course, our tasters felt this Gruner struck a nice balance of sweet to dry. Characteristic of what you'd expect in an Austrian Gruner, we found clean slate and honey in the nose with good minerality and granny smith tartness on the palate. Its perfect level of acidity cut the salad quite nicely. 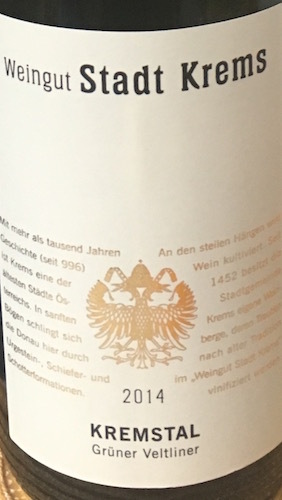 Trivia for the uninitiated, Austrian winemakers use screw tops with the red and white Austrian flag printed on the top, making them the most easily identifiable on your wine rack. Poured for those wanting a white wine with dinner, this offering from one of Virginia's best wineries was more dry than what most people associate with the sweeter Vidal Blancs that are out there. It had a more substantial mouthfeel, in some ways reminiscent of a Viognier. Nice pear, pineapple, melon, and golden delicious apple on the palate made this quite a pleaser. The Vidal paired very nicely with the scallops (perhaps the best single combination of the meal), but deflected some of the more savory components of the second course at large. Dropping a hint of Creme de Cassis into a glass of sparkling wine looks so great that it's bound to get you a next date. For dinner, we actually preferred this unique Pinot Noir, Cabernet Franc, and Negrette blend from France's Loire Valley. The white went very well with the scallops, but this went very well with the entire course, particularly the more savory elements of rosemary, chard gratin, and the roasted heirloom carrots. 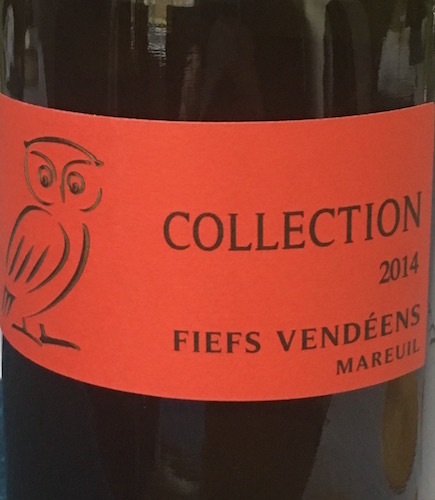 Described by one taster as being "very drinkable", this beautifully colored red wine offered those nice peppery notes characteristic of Cab Franc, and finished nicely. 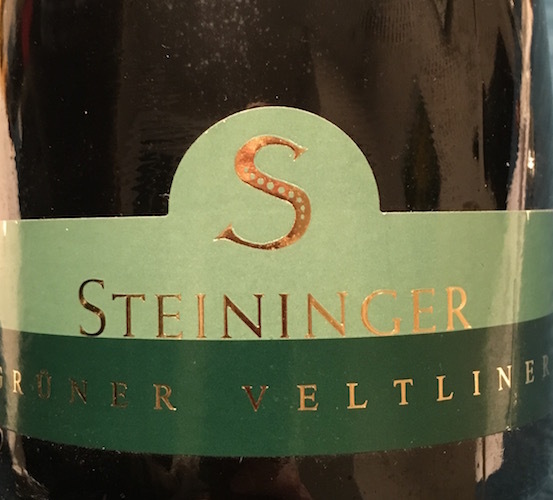 We'd hate to leave bubbles out of an amazing meal, so for dessert we returned to the variety (Grüner Veltliner) with which we began our salad course, but this time as a sparkler from Austria's Kamptal region. As bubbles goes, this one is pretty amazing, though the 2010 vintage is surely no longer available for sale. The sparkling Gruner is a useful paring to cut through such a rich dessert thanks to its rather austere minerality. Like the Gruner we began the night with, it manages to be quite flavorful without being sweet. For an added romantic touch, slowly pour a touch of Creme de Cassis into the glass after you've poured the wine. If you do it right, the Creme de Cassis will sink to the bottom and create beautiful layering that one of our tasters said is "bound to get you a next date". Word for the wise, though, that this "kir royale" as it's called doesn't require bubbles as nice as the Steininger. Don't overspend if that's your game plan.